It’s only right that Local Governments Undersecretary Rico Puno should tender his resignation. Not just a courtesy resignation, made perhaps in the hope that the President would reject it, but an irrevocable resignation. In just a month Puno has been implicated in two big controversies, the Black Monday botched hostage-taking where he was the highest official in supervision of the police forces; and the other day at the Senate Blue Ribbon Committee hearing, where retired Archbishop Oscar Cruz implicated him and other administrative and police officials in jueteng. Over the early evening news the other evening, a young TV reporter quoted Puno as saying that despite the two episodes quite damaging to him, he still enjoys the confidence and trust of President Noynoy. But this reporter correctly riposted: the question is, does Puno still have the trust of the public? On the question of public trust he doesn’t have it, for it’s his word against that of Archbishop Cruz. While this aging prelate has gotten on everyone’s hair at one time or another in the past, he still enjoys tremendous credibility with the public; one reason is that, to borrow a favorite phrase of a major TV-radio network, wala siyang kinikilingan. In fact, it might be rightly asked what the outspoken retired prelate has to gain from getting into this fresh controversy---and at the public hearing of the Senate Blue Ribbon Committee at that. Cruz is putting his life in danger in a business where there’s a lot of payola, including for silencing the media and outspoken critics. Let’s pray that he’d be safe from harm. An internet reader has raised the observation that with Puno’s resignation, it’s “one down. Who’s next?” He opined that the problem is that P-Noy’s appointees are based “on palakasan, (or are) classmates or as bayad-utang na loob, not on character or personality.” In fairness to those being branded as involved in the illegal numbers’ game, we ought to give allowance for the fact the allegations being raised could be part of a grand demolition job against these officials, as Puno has asserted. It could be that Oscar Cruz was taken for a ride, although that possibility is remote, considering that he has been looking at this problem for quite a while. The problem of P-Noy is very much like that of US President Barack Obama as they both have very limited administrative experience. Obama was a very junior senator who spent his two years in the US Senate campaigning for other officials, in the hope of sowing collectible favors. 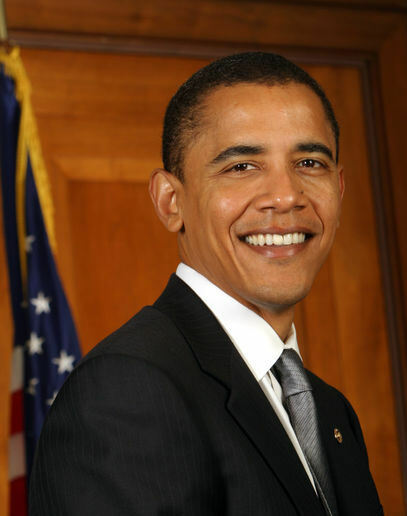 But his personal charisma, his over-arching eloquence, and the fact that America was at a cultural crossroad that its media became so infatuated with this first black candidate for president, helped him conquer the White House. P-Noy fell back on the memory of Ninoy and Cory. Like him Obama began his administration by recruiting people who had helped his political campaign over the years, such as his Chief of Staff, Rahm Emmanuel, and senior adviser David Axelrod, his chief campaign strategist. But Obama had the good sense to ask the Defense Secretary of the Bush administration, Robert Gates, to stay on in the light of the critical Iraq and Afghanistan wars, and his bitter Democratic rival Hillary Clinton to be his Secretary of State. He saw the intrinsic value of experience in certain critical fields. By the same token, it is natural that P-Noy tends to trust only people he knew from way back, given his limited administrative background (more experienced administrators get to develop this knack for spotting talent). But in the process P-Noy has kept out experienced hands and the neophyte character of his government is taking a heavy toll. Sen. Joker Arroyo put it quite vividly when he queried whether or not a “student government” is in the Palace, which it denied quickly. Actually, if and when the two Presidents finally meet in the US , they’ll realize they have more in common than just kicking the smoking habit. But one aspect of the handling of the IIRC report is worrisome. The President, before he left for his one-week official visit to the US the other day, said that the report is “recommendatory in nature” and that he has sent it to his legal team composed of the Executive Secretary and the Chief Legal Counsel, for a thorough review and recommended course of action. He stressed that he had ordered it disseminated to the public in the interest of transparency and that a copy was turned over to Chinese Ambassador. But he also said he would decide on whether to approve the filing of charges against the recommended individuals when he gets back from the US . The problem is that the report had already been turned over to the Chinese authorities and while they praised the completion of the initial report, the autonomous Hongkong government urged Manila to take action versus the negligent officials, and to continue working “until the call for justice can be answered.” The HK government knows what the IIRC report wants done. 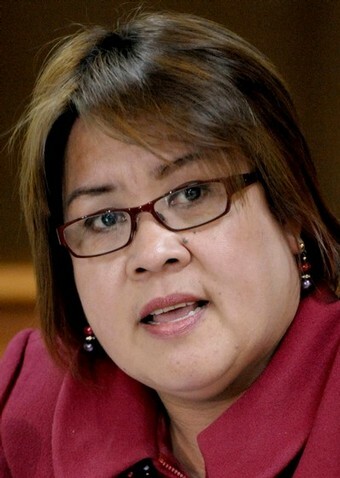 Secretary De Lima was quoted as saying she hopes the President does not deviate too far from its recommendations. But what if he does deviate, given the nature of his friendship with some personalities mentioned? Would that worsen the relationship with HK? One of those who could be adversely affected is Manila Mayor Fred Lim, who was quite instrumental in Noynoy’s victory in the capital (recall how he allowed the Cory/Ninoy yellow banners in the city for many months on end, defying the Comelec’s ban on propaganda material). His startling emotional outburst before nationwide TV last night shows how much he has been affected by all the criticisms that have assailed him and the Manila police he once headed. Ironically, Fred Lim suffered his worst drubbings in the two Aquino administrations he helped install (his pot-bellied policemen guarded the government TV station during the first coup attempt against the Cory government in August 1987).. The first was the Mendiola Massacre of Jan. 22, 1987, which saw the MPD forces under him mowing down demonstrating farmers at Mendiola in the first major crisis of the Cory administration, a huge blow to her touted comprehensive agrarian reform program. Then came the botched rescue operation of Aug. 23, 2010. A third disaster for Lim could be the historic electoral recount in Manila between him and longtime rival Lito Atienza---the first formal protest filed after the first automated elections in this country. More about this on Friday.